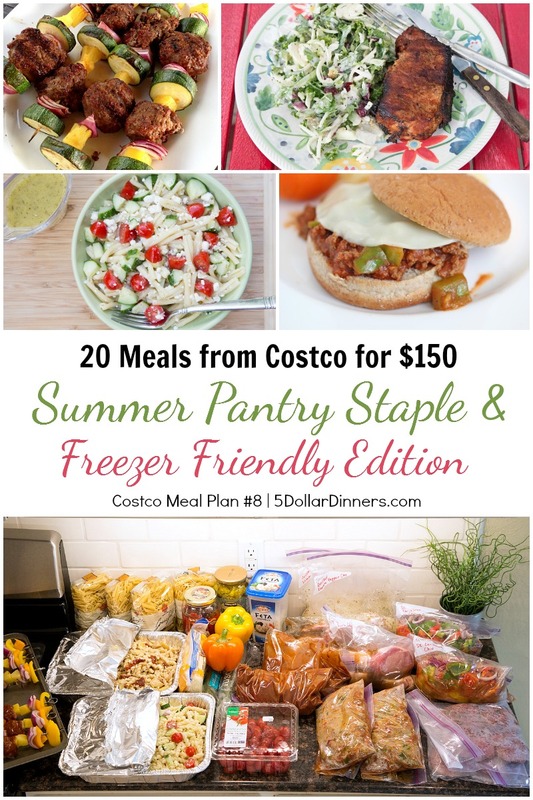 Does it make you tired just thinking about planning and cooking meals this summer? We have the meal plan solution that will save you time and money. As much at $100 per month and 3 hours per week. Summer is here and I don’t know about you, but I want to spend as much time as I possibly can with my kids and enjoying all the fun that summer brings! But doesn’t it feel like summer is busier than the school year? It’s a different kind of busy. It’s a fun-relaxed-kinda busy. It’s a busy-busy-fun-fun-busy-fun kinda busy. It’s about sneaking in a special afternoon at the movies…in the cool, cool air conditioning! It’s about running kids to and from camps – where they learn new skills and discover new things about themselves. These are the moments that I want to cherish. These are the memories that will last a lifetime. 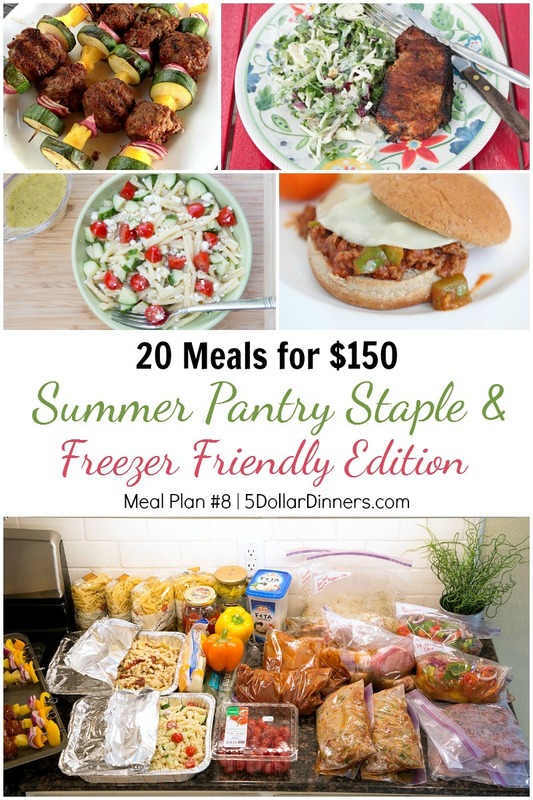 That’s why I’ve pulled together another fantastic meal plan for you…this one featuring delicious, fresh meals that will get you through those hot, summer afternoons. In addition to the regular shopping list, recipe list and assembly/video instructions for the plan, I also shot a new video explaining how to work with the different fresh ingredients and ingredients you might want to get at the grocery store. We have included Gluten Free modifications to each of the recipes. We have included Dairy Free modifications to each of the recipes. We have included Whole30 & Paleo modifications on SOME of the recipes too. There are pasta salads and sloppy joes on this plan and those are hard to modify for Whole30/Paleo, but we have included simple modifications on the other meals to make them Whole30/Paleo compliant. Below is the ‘hodgepodge’ of recipes, all written to serve a family of 4. Larger families or families with bottomless pits (also known as teenage boys!) can easily modify to make larger portions for a single meal. I’ve also included salad and veggie side options on this shopping list. If you are new to my Warehouse store meal plans, I’d encourage you to take a peek at all the other meal plan options in the E-Store before you checkout!. Once you’ve chosen all the ones you need, you can checkout and get all the meal plans you need at once! After you choose all the plans you want, you can checkout. Once your payment has been processed, you will immediately receive an email with links to download your plan. If you purchased with a credit card, the plan(s) will be sent to the email address you used during the checkout process. If you purchased with Paypal, the plan(s) will be sent to the email address associated with your Paypal account. NOTE: Please download these files directly to your computer within 72 hours, then you can add to your e-reader/phone/tablet. If you have issues with the download, PLEASE EMAIL ME! I’ll be able to help you out! I would really be interested in meals that do not contain mustard in any way. My husband has a severe allergic, not all pruducts give the full ingredients listings. which recipes can be frozen on this plan? Michelle – all can be frozen except the pasta salads.